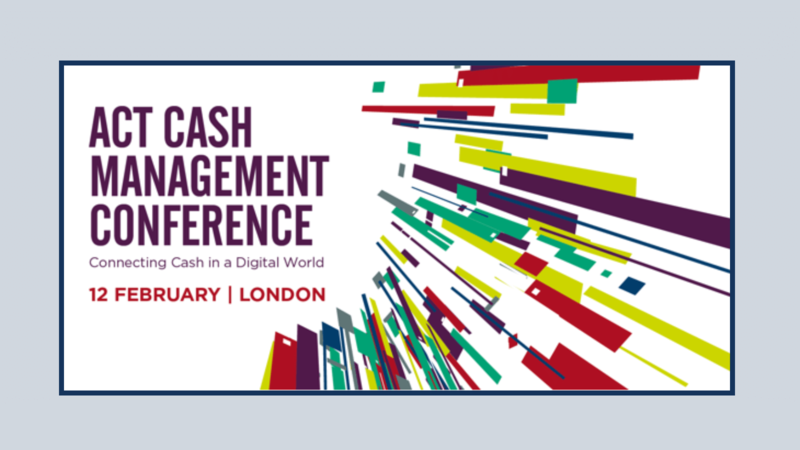 CashAnalytics will be at the ACT Smart Cash Conference on 12 February 2019 and will be presenting a case study titled: How Rubix simplified and improved its cash forecasting with CashAnalytics. We welcome anyone who is planning on attending the conference to come to see our presentation where we will explore how Rubix, Europe’s largest provider of industrial maintenance products and services, used our software to simplify, automate, and improve cash forecasting while combining two separate multinational businesses. The presentation will walk through the following areas and allow space for questions for those who seek further information. Background to solution: A review of the pain points / drivers behind Rubix initiating the request for a solution. Specifics of Rubix requirements: A detailed look at the specifics of the requirements Rubix needed from the output in terms of business structure, reporting requirements, data requirements, etc. Implementation project overview: A review of how CashAnalytics was implemented as a solution and what it took to go live. The value of CashAnalytics: We’ll take a view of a day in the life of the Rubix Treasurer to explore practical examples of the way they benefit from using the system. Reporting and Analytics in focus: By focusing in on the core reporting and analytics outputs offered by the system, we’ll show how data can be viewed and accessed in a way that isn’t possible without CashAnalytics. Q&A: We’ll close the presentation with a Q&A for those who would like further information on any particular aspect of the project or would like to know more about CashAnalytics. In addition to the case study presentation, we will also have an exhibition stand out in the main hall opposite the refreshments area for those who would prefer to ask us any questions either in advance of the presentation or after it. For those that cannot make it to London, shortly after the conference we will be publishing the case study as an article on our website. If you wish to be emailed a copy when it is published please submit your email address on our contact page. For those that can make it, we look forward to seeing you there!